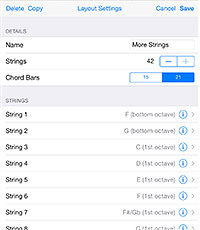 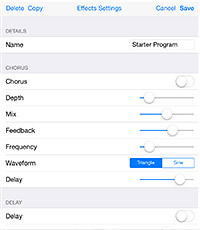 This app works like a real autoharp: just push one of the chord buttons and strum! 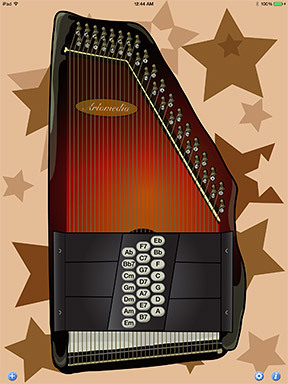 Autoharp uses high-quality audio samples and comes with standard 15 and 21 bar layouts. 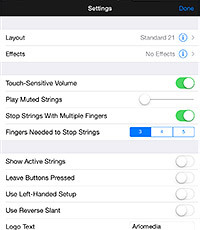 You can find a guided tour of the functionality in the Demo Video, and a complete list of all the settings on the Settings page.